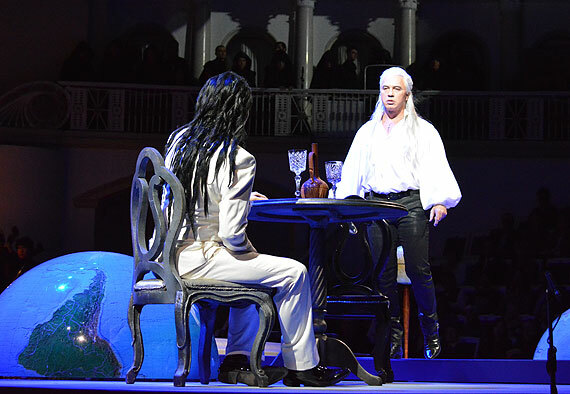 In the semi-staged performance of Anton Rubinstein's The Demon from Russia we have Dima singing gloriously. There appear to be no subtitles. You may look up the plot in Wikipedia, of course. I watched it on YouTube. It's gone now. Two weeks ago I did not know this work existed. The music is not very adventuresome but inspires some wonderful singing by this cast. The idea here is that someone can be condemned for loving inappropriately. You would want this for Dmitri. YouTube includes some other versions, including one with Kristine Opolais.